Some items may change due to inventory availability, but the value and theme will be maintained. 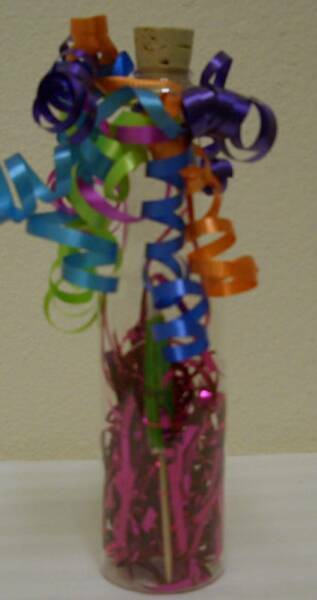 2-20" Star micro foil balloons, 2-18" Celebrate micro foils and 6-11" Stars and Swirls Happy Anniversary latex balloons. Attached to a decorative balloon weight with 8-5"latex balloons. You may choose a gift bag of candy when you place your order. Click on bottle to see your options.